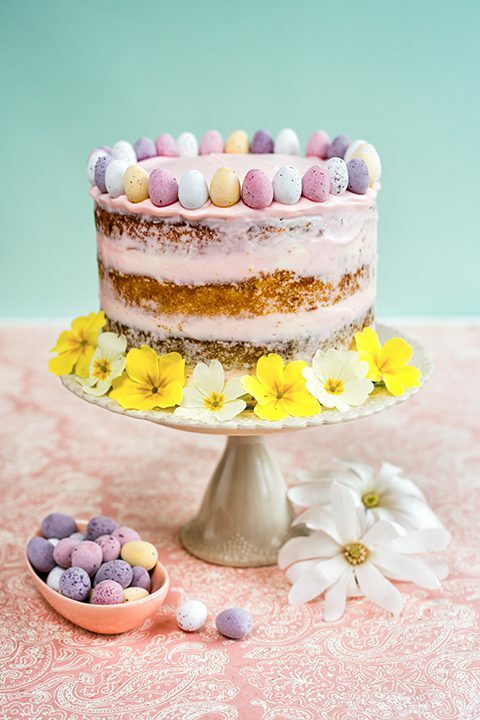 This pretty vanilla cake is so easy to prepare and perfect for Easter. 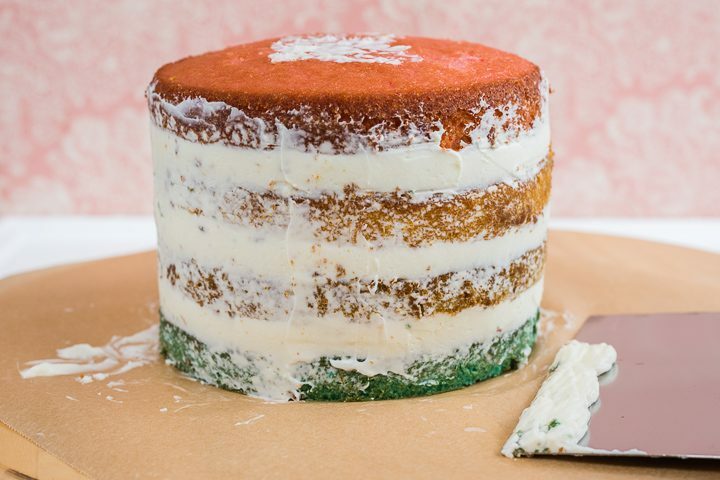 The layers are tinted in pastel shades using gel food colouring and only revealed once the cake is sliced. Decorate with mini chocolate eggs and fresh flowers or whatever else takes your fancy. You can use the cream cheese frosting in this recipe or simple vanilla buttercream frosting if you prefer. The cake is made using liquid egg whites so that the colours of the sponge really stand out. It’s well worth hunting down (usually found in the fridge section of your supermarket). Preheat the oven to 170C. Grease four 15cm cake tins and line with baking parchment. Dust with flour, shaking out any excess. 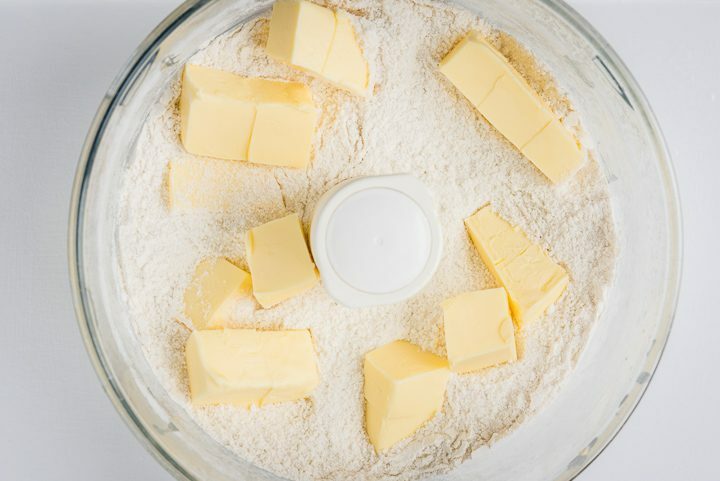 Put the flour, cornflour, sugar, baking powder and salt in the bowl of your food processor and briefly pulse to combine. Add the cubed butter and pulse again until the mixture resembles breadcrumbs. In a measuring jug, mix together the milk, egg whites and extracts. Add the egg white mixture into the batter through the feeding tube. 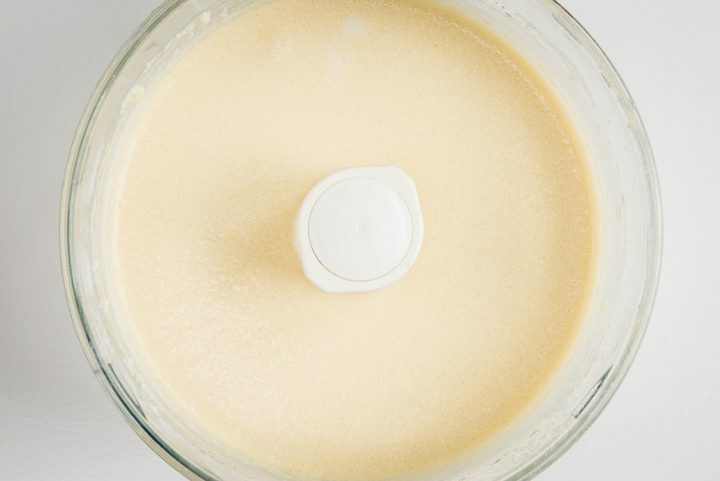 Mix for 4 minutes or until batter is completely smooth. You may need to scrape the sides of the bowl with a spatula. 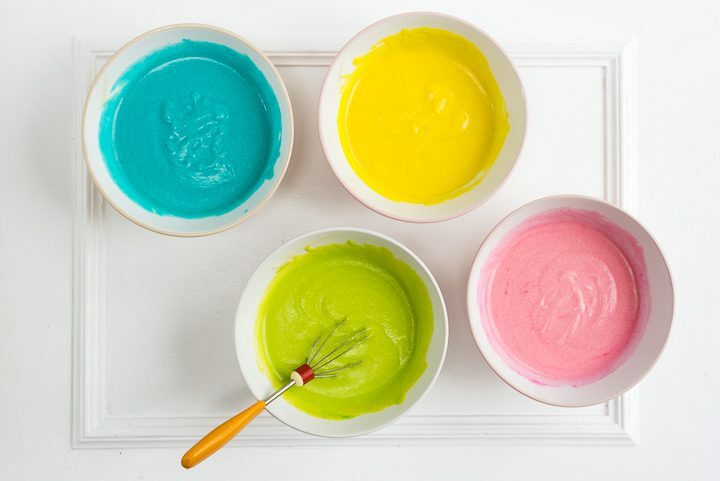 Pour equal amounts of batter into 4 small bowls (around 220g per bowl) and add the food colouring. It is best to start with a very small amount of gel colouring on the tip of a skewer and increase the quantity gradually until you are happy with the colour. 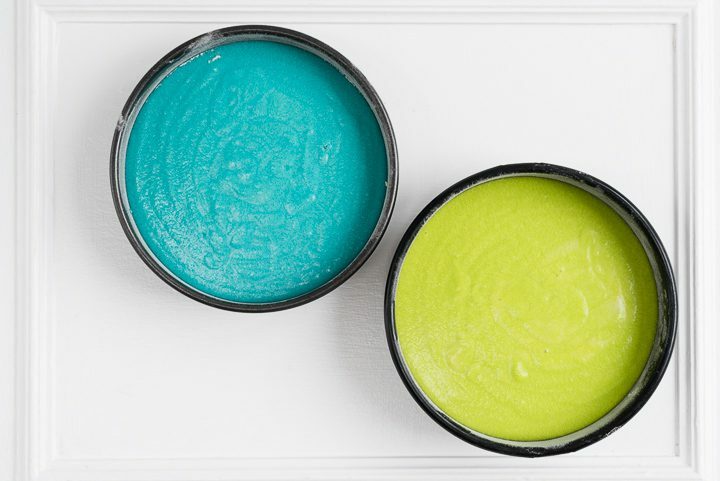 Use a small balloon whisk to make sure the batter is evenly coloured. Pour the batter into the prepared tins and bake for 20-25 minutes or until the cakes are well risen and a skewer inserted in the centre comes out clean. Cool in the tins for 10 minutes and then run a knife around the edges of the tins to loosen. Carefully turn out on a wire rack lined with baking paper. Cool completely before frosting. 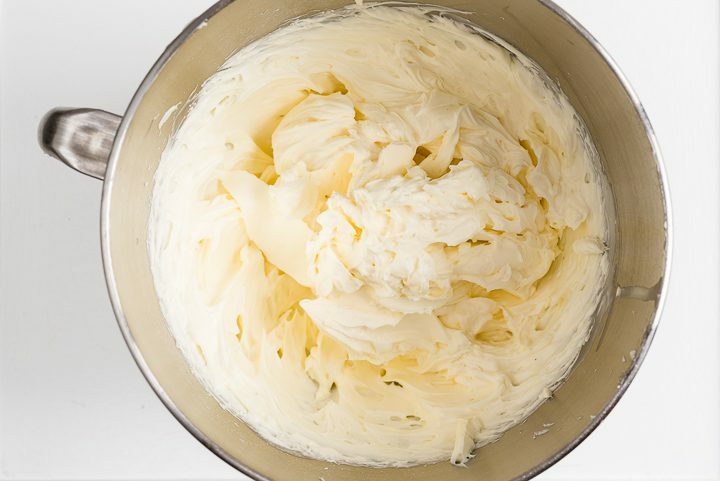 To make the frosting, put the cream cheese, icing sugar, double cream and vanilla extract in the bowl of your stand mixer. Start mixing on low speed to combine, increase the speed to highest setting until you have firm peaks. DO NOT OVER-MIX! Pipe or spread the frosting over the layers and sandwich the layers together. Smooth the frosting over the entire cake with a palette knife or pastry scraper and chill or freeze for 20 minutes. 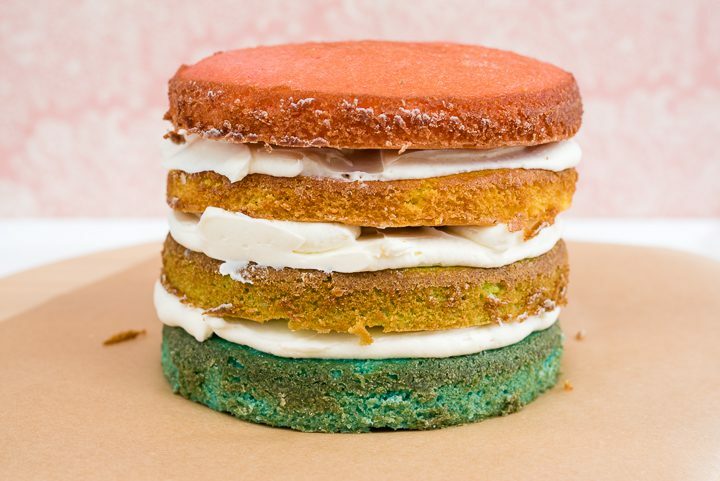 Add a final layer of frosting over the cake, smoothing so that the layers are still visible for a ‘naked cake’ effect. If you wish, pipe any excess frosting on top. Decorate with mini eggs and fresh flowers, pastel sprinkles or decorations of your choice. Best consumed within a couple of days. Keep chilled. Hi I am Lucy – a London-based recipe developer, food photographer, coffee fanatic and cocktail appreciator. 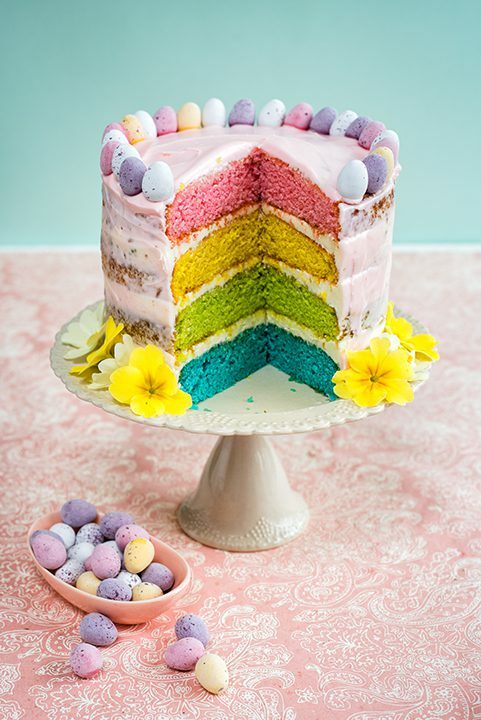 Welcome to my Springtime pastel bake - so glad you have stopped by and hope you enjoy!